Wales is said to be the castle capital of the world, with about 400 castles, of which over 100 are still standing, either as ruins or as restored buildings. The rest have returned to nature, and today consist of ditches, mounds and earthworks, often in commanding positions. 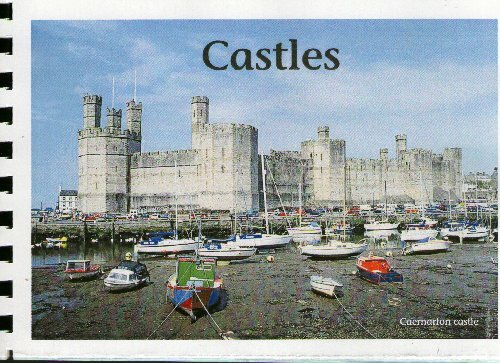 This journal is for your favourite castles, wherever they are. Write, draw, use pictures and photos to tell us about them. You can use as many pages as you wish. I make my journals with a minumum of pages initially to keep postage costs down, but can repair, rebind and add pages as needed. Contact me through Bookmooch. Please relist within two weeks of receipt and check the requester understands the rules too. When full I will mooch it back. Enjoy journalling and encourage others to as well.